Enduroplank™ is a sturdy long lasting and virtually maintenance free decking product that provides an ethical alternative to timber. It is ideal for a myriad of commercial applications and is especially suitable for marine environments as salt water will not corrode the material, even when submerged. 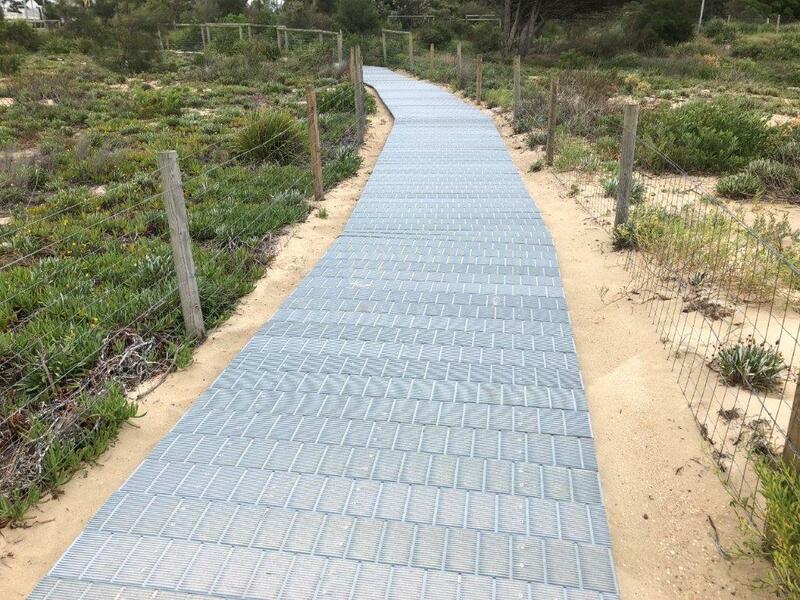 Replas has also created an easy to install system that provides a low-cost long-lasting solution for beach pathways. Plastic Decking Installation: Installation is easy due to the consistency and uniformity of Enduroplank™. Securing the planks to your supporting structure is simple – we recommend pre-drilling and counter sinking, It is not recommended that Enduroplank™ be laid longitudinally, due to expansion, contraction, and slip resistance issues. 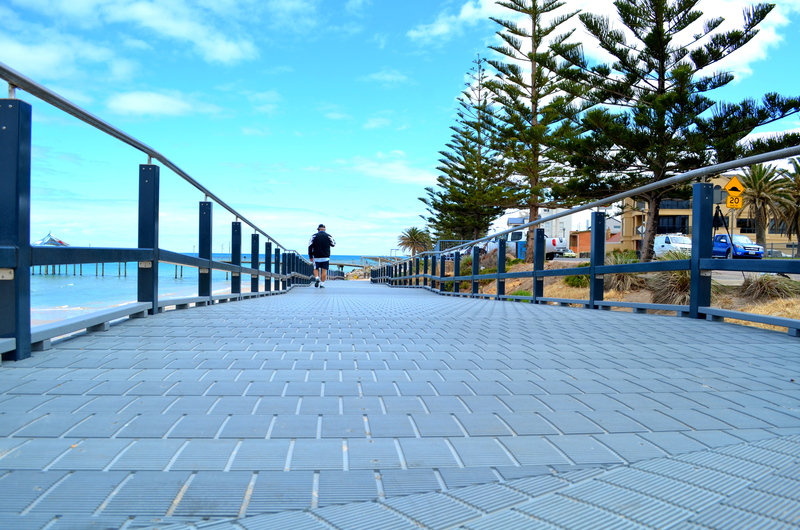 Slip Resistance: A grooved surface on Enduroplank™ provides excellent slip resistance, currently rated at R10 (P3) according to Australian Standards. An application of Replas Endurogrip will increase the rating to R12, which gives it a Class V slip resistance. Custom Lengths: Enduroplank™ comes in 4 different lengths; 1.2 m, 1.8 m, 3.6 m, and 4.0 metres*. However, Replas can also pre-cut boards to a requested length to satisfy your requirements. For more information on custom lengths or pricing, please contact our sales team. Composite Fibre: Combining Enduroplank™ with a composite fibre sub-structure produces a construction that contains no timber or metal, other than fixings and brackets. Composite fibre components are extremely lightweight, yet much stronger than steel. They are also easy to install and transport which reduces installation and freight costs. Replas decking is an excellent alternative to timber. 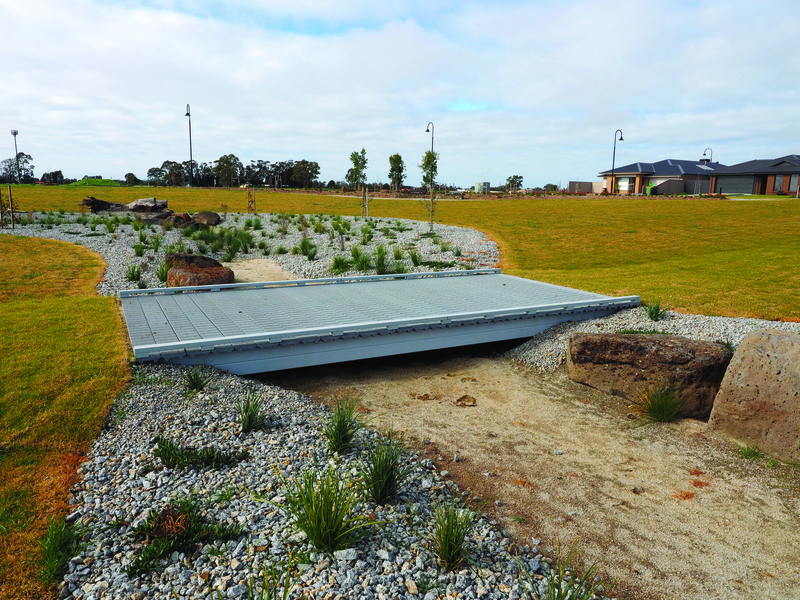 Long lasting, low maintenance bridges fit for any environment. Floating decks become a great solution for any surface. 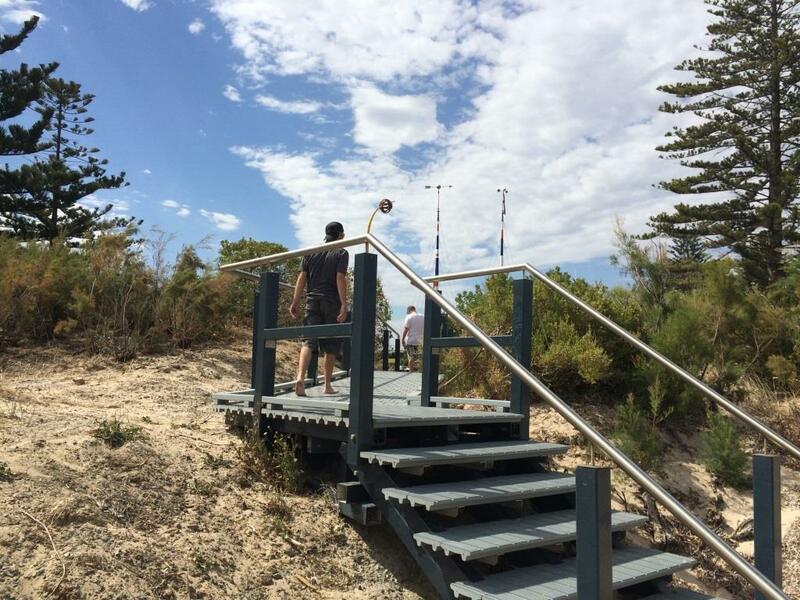 Include recycled plastic decking staircases to any install. 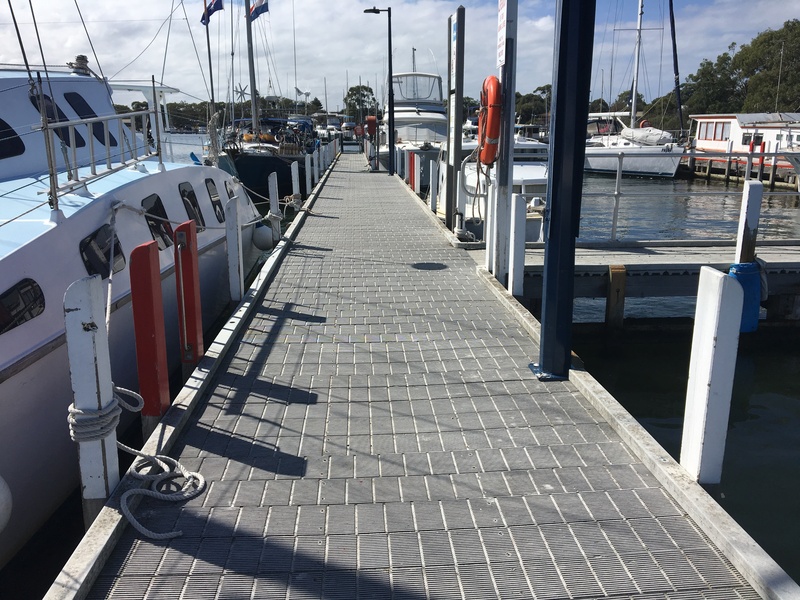 Install a safe, slip resistant surface to your jetty platform.